Dar Al Fouad Hospital Emergency Department is available around the clock. 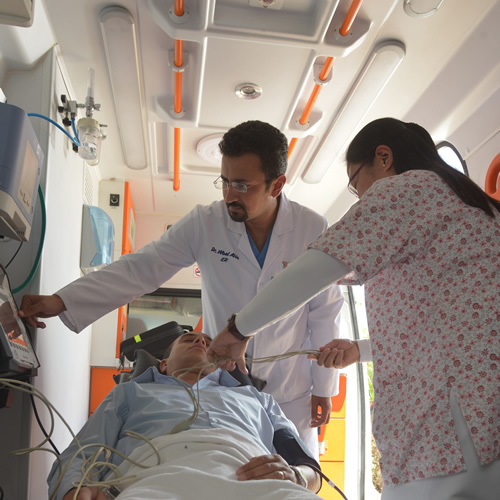 Ambulance cars are equipped with top notch telecommunication facilities to transmit overall patient information and medical status to the emergency department in order to arrange for immediate and proper handling of the patient upon arrival to the hospital. There is also a helipad equipped for day and night landing available at the hospital. The Emergency Department receives different kinds of cases starting from heart attacks, head injuries, brain stroke, emergency deliveries and orthopedic surgeries.